The heart and soul of the idea is to bring together highly-skilled, licensed St Petersburg guides speaking fluent English into one team that helps travellers to explore Russian culture at its best. Russia is a place that has a very rich culture and I would proudly say is one of the top interesting destinations for cultural tourism. And for a good reason – you need a person that would help the Russian culture and history be discovered and interpreted in a professional way. Our goal is to offer you the best and make your travel experience in St Petersburg enjoyable and unforgettable. Why to get a private guide? You might ask – “Is it so important getting a private guide in Russia?” – “What if I want to explore Russian culture on my own?” – Yes, you can. And believe me, that would be pretty different travel experience to Russia, but if it something that does excite you – Go for it! – Happy adventures! I will help you and support with that too. Feel free to ask me for any advice. However, what I would personally recommend for those who want a smooth, well-organised, informative and cultural trip is – to get a local guide with great knowledge and and language skills. It will definitely make your trip to Russia really worth. First of all, it is Russian language and that’s number 1 big issue, which becomes a major hindrance in communicating with the locals. It is a very different language and no wonder you will be struggling reading the alien Cyrillic alphabet and the worst fun is pronouncing long Russian names. And it is usually a problem for a traveler. Though, English verbal usage does exist – primarily in hotels and some top restaurants. Also menus in some restaurants are in English, -”Don’t you worry”. Some streets are also doubled in Latin. Russia is still in a serious process of working on a comfortable navigation for tourists. For today – having a private guide is a really good solution, if you don’t want to be confused walking on the streets and wondering where Krasnogvardeyskaya metro station is, for instance. Secondly, and what is very important, when you are really looking for nice cultural trip to Russia, you should know that Russian heritage is so rich and diverse that requires deep knowledge of history and art. What can be better than having a local highly-skilled guide with fluent English who will help you to discover twice more about Russian culture than you could do travelling on your own? A private guide will show you around museums, palaces by passing the lines saving your time and will answer all your questions. In other words, by getting a private guide you don’t have to worry about ”Lost in Translation” problem, you save your time, you learn more about the country and its culture, you have a helping friend by your side and always a valuable cultural experience. To know more about Russia and its culture and ask me for any advice drop me a line here. Hope to hear from you soon and to meet you in person in Russia! 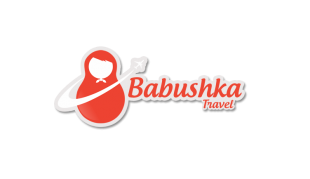 Founder of Babushka Travel project - To the heart of Russian Culture with expert local guides in St.Petersburg. A globetrotter, holiday expert, private guide in St.Petersburg. Looking for a tour in Saint-Petersburg?